Quarterback who started for the University of South Carolina Gamecocks from 2011 through 2013, ending his career with the most wins by a quarterback in school history with 27. He signed with the Cleveland Browns in 2014 and made his first NFL start in December of that year. He played quarterback as well as wide receiver at Flowery Branch High School in Georgia. He began attending the University of South Carolina in 2011. He was voted the SEC Offensive Player of the Week 4 times from 2011 through 2012. His father Lee was his coach in high school. 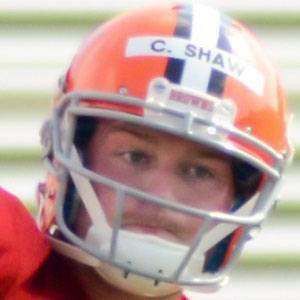 He started at quarterback for the Browns in 2014 following injuries to Brian Hoyer and Johnny Manziel.